Day of fishing in the Cantabrian Sea with our group of guests. We sailed the last Basque wooden tuna boat built using traditional techniques. Crossing the small fjord of the whaling port of Pasajes, we headed to another fishing village, Getaria. During the excursion, we partook in some trolling, our collaborators showed their talent and shared their foolproof tricks to reach the main goal: to celebrate the success eating the catch! When we saw the famous mouse-shaped mountain, we all knew that soon we’d be back to shore. Strolling through the cobbled streets of Getaria, where they place hot coals to cook the fresh fish, you could feel the energy of its people; great adventurers like Juan Sebastian Elcano (first sailor to circumnavigate the world) and creators as the couturier Balenciaga. 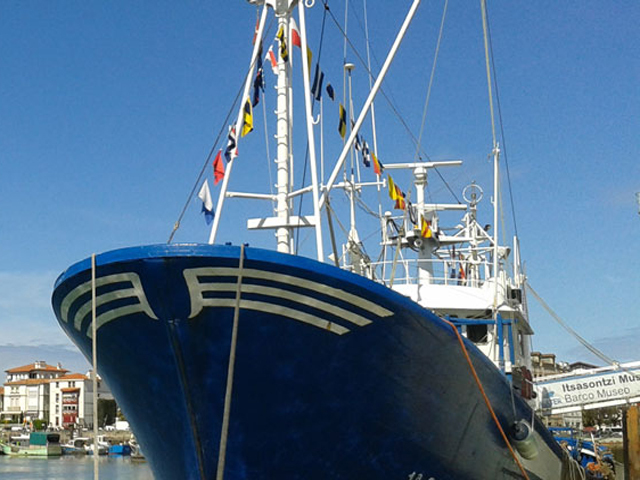 Thanks to the non-profit association Itsas Gela for returning this boat to life and getting us a bit closer to the Basque maritime culture with that affection and deep knowledge.